The newly elected 2018 ILAQ Management Committee wish to take this opportunity to thank the previous committee members for their commitment to Queensland’s Aboriginal and Torres Strait Islander Legal Professionals and Law Students. We undertake to continue to promote our professional association and enhance the presence of Indigenous Lawyers within the Queensland legal community. Avelina is a Wangkamadla woman from central-west Queensland but grew up in Brisbane. In 2017, Avelina was called to the Queensland bar and is one of three Indigenous women to do so. She holds a Bachelor of Laws and Graduate Diploma in Legal Practice from the Queensland University of Technology and has been admitted in the Supreme Court of Queensland since 2009. Avelina previously worked for many years as a Federal Prosecutor for the Commonwealth Director of Public Prosecutions and currently works for the Office of the Health Ombudsman. Avelina is also a member of the Law Council of Australia’s Indigenous Legal Issues Committee. Cassie’s fa mily are from the Bundjalung People on the north coast of New South Wales. She grew up in Brisbane. She holds a Bachelor of Laws/Bachelor of Justice and a Graduate Diploma in Legal Practice from Queensland University of Technology, and is admitted as a solicitor in the Supreme Court of Queensland and the High Court of Australia. Candice Hughes is a proud Kamilaroi woman, mother and wife. Candice is a Solicitor with the Bayside Community Legal Service and tutors Indigenous law students. Candice holds a Graduate Diploma in Legal Practice, Bachelor of Laws (Graduate Entry), and a Bachelor of Arts (Justice Studies) from QUT. She has previously worked as a sworn and unsworn member of the QPS. Candice is passionate about increasing the opportunities and support given to our First Nations peoples in the legal profession and those wanting to enter it. Kristen is a Wiradjuri woman from central west NSW but has lived in Brisbane for the last 12 years. She holds a Bachelor of Laws and Bachelor of Criminology and Criminal Justice from Griffith University and is currently studying her Masters with Macquarie University. 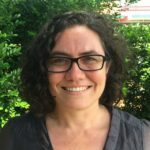 Kristen has worked in native title, cultural heritage and economic participation for the past eleven years. 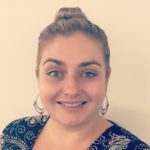 She is passionate about Aboriginal and Torres Strait Islander people achieving success in the legal industry and looks forward to contributing to this through her position. 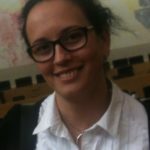 Born of the Kabi Kabi and Wakka Wakka peoples and a mother of one, Bianca has been working in the higher education sector for over nine years. Bianca is a QUT law graduate and works with QUT Faculty of Law. In her role as an Indigenous Project Officer, Bianca provides support services to the Aboriginal and Torres Strait Islander law students. Prior to joining the higher education sector, Bianca worked in a number of positions with the Queensland Government. Bianca has a keen interest to increasing the number of Aboriginal and Torres Strait Islander people enrolling and completing law degrees and in turn increasing numbers moving into the legal profession. 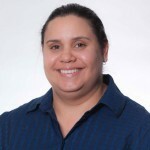 Michelle Rabbidge is a descendant of the Kabi Kabi and Gayiri peoples, and is currently in her final year of the Bachelor of Laws program at the Queensland University of Technology in Brisbane. She is a mother of one, and has a keen interest in human rights, social justice, and criminal law. 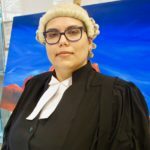 She believes that the increased participation of Aboriginal and Torres Strait Islander individuals in the legal profession, particularly through all facets of the criminal justice system, will lead to crucial positive change for our peoples.